Now read that section again, but pay attention to the actual words and not just the meaning. This amendment changes the meaning of the bill to state that “any instruction or materials made available…to a public elementary or middle school shall be limited exclusively to natural human reproduction science. Period. If you take this literally, that means schools will not be able to teach math, biology, reading or any other subject other than natural human reproduction science. 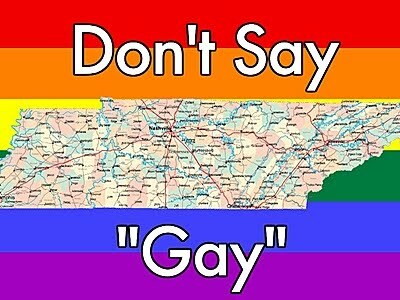 I hope this passes. I would love to see how many schools get sued for teaching math and other subjects. This is a blog posting that my friend David posted over on Queer Oakland. This was so good that I had to share it on my blog. And that, said representatives from the conservative Pacific Justice Institute, was the problem. These Oakland children will be told there are more than two genders, the organization advised the media in a press release last week. “This instruction does not represent the values of the majority of families in Oakland,” said attorney Kevin Snider in a statement. Animals! Nature! Science! In school! Feel the outrage right? via BREAKING: Conservative group opposed to talking about fish that switches genders | Queer Oakland. If I had to do a girl, Alex Kingston would come to mind. There is something about her that makes me pay attention. She is my favorite character in the new Doctor Who series by far. 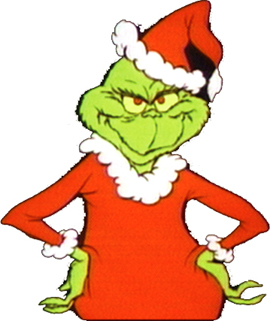 When she arrives on the screen during an episode, there just seems to be a great energy between her and any other character. 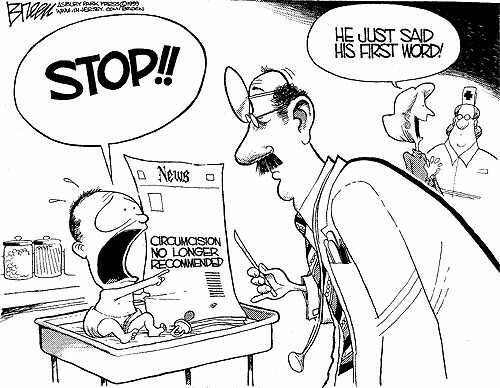 There is a proposal in the great, liberal city of San Francisco to ban circumcision in males under the age of 18. Proponents of the ban call circumcision “male genital mutilation” and think adult males should make this decision for themselves, after they turn 18. Opponents of the ban call this an invasion of privacy, a violation of constitutional rights and an attack on a long held religious ceremony. What do you think? Read the article from 365gay below. (San Francisco) A proposal to ban the circumcision of male children in San Francisco has been cleared to appear on the November ballot, setting the stage for the nation’s first public vote on what has long been considered a private family matter. But even in a city with a long-held reputation for pushing boundaries, the measure is drawing heavy fire. Opponents are lining up against it, saying a ban on a religious rite considered sacred by Jews and Muslims is a blatant violation of constitutional rights. Elections officials confirmed Wednesday the initiative had qualified for the ballot with more than 7,700 valid signatures from city residents. Initiatives must have at least 7,168 names to qualify. If the measure passes, circumcision would be prohibited among males under the age of 18. The practice would become a misdemeanor offense punishable by a fine of up to $1,000 or up to one year in jail. There would be no religious exemptions. Below is a question from Ask the Expert on 365gay.com. The question is a really good question. The answer, for the most part, is really good as well. I disagree with his assertion when it comes to fantasizing about someone of the same gender, but then again, I tend to believe pretty firmly in Kinsey’s 7 degrees of sexuality. 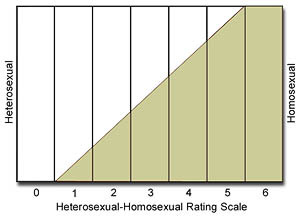 In other versions of this scale, levels 1-5 are listed as degrees of bisexuality, but all of the scales that I found are this new one. The PTB at Scrabble have gone crazy. 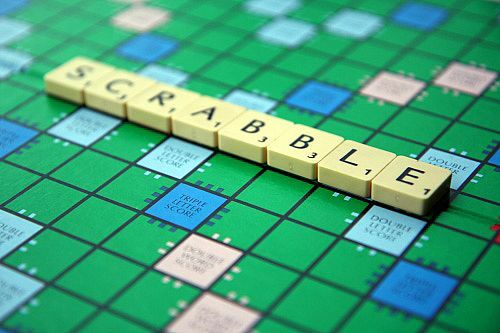 Over 3000 new words have been added to Official Scrabble Dictionary. Now, some of these words make sense to add. There are Indian cookery words like “keema”, “alu” and “gobi”. These make Scrabble a little more global. There are also words like qin, a Chinese musical instrument, along with wagyu and Fiqh. If that were the end of the story, this post would be no where to be found. Instead, the Powers That Be decided to add slang into the world of proper English and grammar. Words like Grrl, innit and thang are now official words in Scrabble. I guess the makers decided that if Websters could add bootylicious, they could add some bling of their own. “THAT’S definitely a word, innit?” could soon be the cry of many a Scrabble player battling their way to victory. New slang terms, including “innit”, “thang” and “grrl”, have been added to the official list of words that can be used in the popular board game. Technology-related words such as “webzine”, “darknet” and “Facebook” have also made the Collins Official Scrabble Words book, compiled by staff in Glasgow. I went to see Thor 3D primarily because Jason wanted to see the movie. I am not really a fan of Thor, but I was pleasantly surprised by the movie. The plot wasn’t awful and the acting was pretty good.